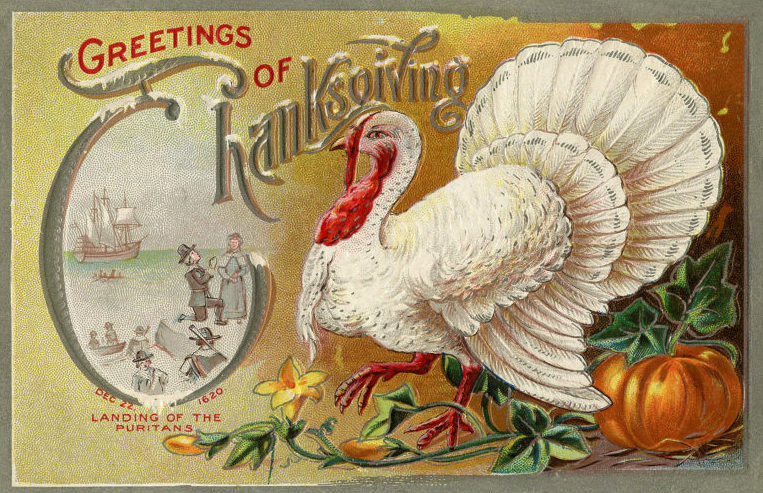 I wish you and yours a wealth of blessings this Thanksgiving -- happiness, health, joy, and especially success in your search for your ancestors. As usual, I have an embarrassment of blessings this year. I'm beyond grateful for them and probably take too many of them for granted. To name a few, I'm grateful for . . .
life itself. I am so happy to be alive. Life is not always easy but it's always interesting. Through both the easy times and the challenging times I'm glad to be here on this beautiful earth. challenges. We don't usually think about being thankful for the challenges of life but I am. They teach me so much about patience, faith, endurance, being true to oneself, and so many other things. family: my brother and sister and their spouses, my husband and daughters, and my grandchildren. I'm also grateful for my ancestors and the opportunity I have to search for them and research their lives. Without my ancestors I would not be here. my Savior and my faith in Him. What a glorious, merciful being He is who offers guidance, grace, and blessings in abundance. Hannah, our Airedale, who, at 12½, is slowing down but still gives us hours of joy and laughter. this land of freedom, these United States, created as a democratic republic, where people have the freedoms of speech and religion. my computer, my scanner, the internet, websites like FamilySearch and Ancestry, and other resources available for family history. time to create quilts and the resources and space to make it possible. and plenty more -- a nearly endless list -- but I'll stop with just these. Plus one more. I'm grateful for all of you, dear blog readers. Thank you for visiting and taking the time to leave comments now and then. I send your way the heartiest of good wishes for Thanksgiving blessings. Happy Thanksgiving, Nancy! Every gratitude on your list mirrors my own. I hope you had a good Thanksgiving, Shasta. We must be on the same wavelength with our blessings. Thank you, Elizabeth. I was going to share this in your blog party but don't have a LinkedIn acct. (and don't want one), and would rather not use G+ or Facebook. Sorry. Nice one! Beautiful greetings these are. Got to know about one of the best LA venues from my colleague and planning to arrange my daughter's birthday at the same. Cake and snacks have to be shortlisted. Also some sober décor will be done. Will make DIY invites for all her friends and mates. Props will also be ordered.